"Frances, I love you" was not a rhyme but a simple truth for Nash since he met Frances in his early 20's. 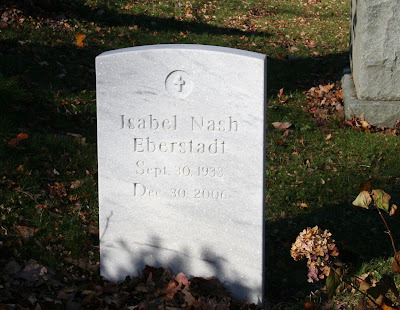 * Mrs. Nash went on to live another 23 years, active in volunteer work and enjoying her daughters and grandchildren. 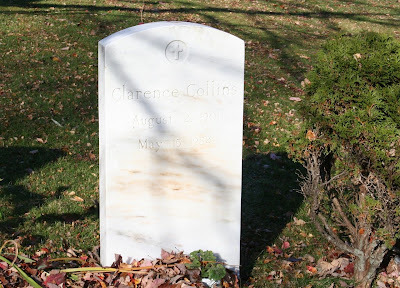 The Nash family plot in North Hampton, NH is shared by their long time servant, Clarence Collins. 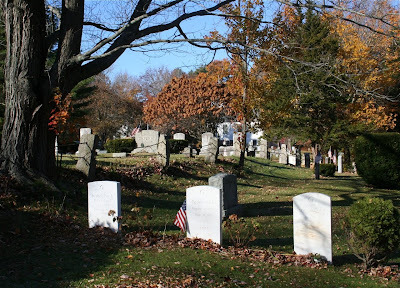 Frances and Ogden share a gravestone flanked by Isabelle and Clarence. 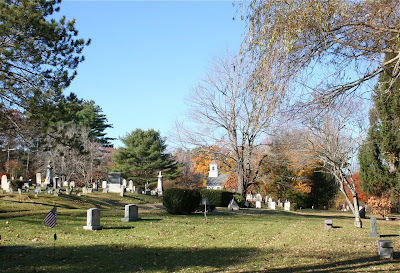 I'm very grateful to Amy Kane, for sharing these recently captured scenes of the Nash grave site within Little River Cemetery. Amy's beautiful words and pictures about coastal NH can be found on Atlantic Avenue. Click on the pictures to enlarge the details. Photos Copyright Amy Kane 2008. Used with Permission. *Last words according to his biographer Douglas M. Parker. 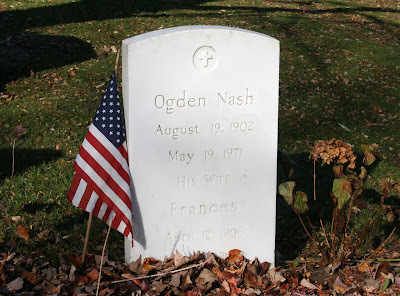 The book 'Loving Letters from Ogden Nash' leaves little doubt as to Nash's passionate feelings for Frances over 5 decades. I didn't know those were his last words. How wonderful! Thanks for the link and kind words. You're welcome! He was very much 'head over heels' for Frances throughout their courtship and marriage as captured in the book 'Loving Letters from Ogden Nash'. Lots of letters to his children in there too. Is Linell Nash still alive? I was just wondering if you knew.